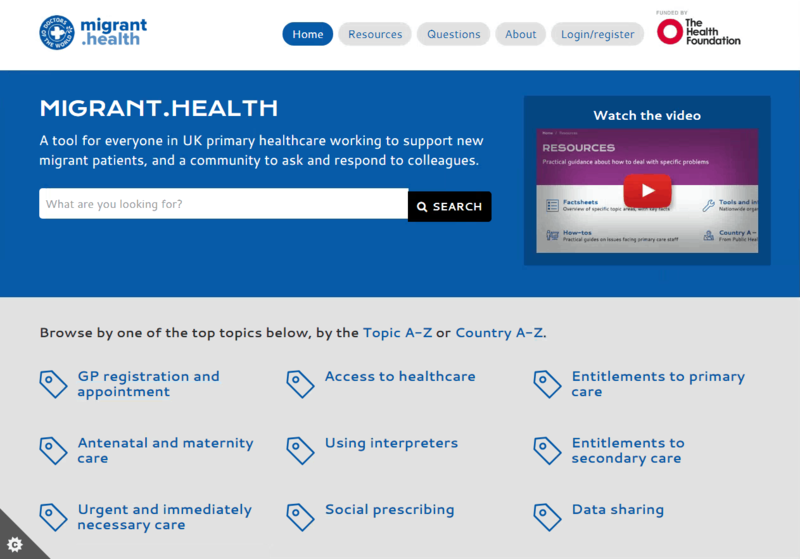 A new website has been developed for people working in primary care who want to learn about and discuss how to provide high quality care for migrant patients, particularly those who might be in more vulnerable circumstances. migrant.health has been designed to provide healthcare professionals with resources and guidance on a large range of issues relating to migrant healthcare, including instructions for GP registration, entitlements to primary and secondary care, and guidance on specific healthcare concerns. In addition, the website also incorporates a community Q&A forum allowing registered users to ask questions on specific issues, and to provide answers. The site has been developed by Doctors of the World UK (DotW UK), the University of Sheffield and Yoomee, with funding from the Health Foundation. More information can be found at migrant.health/about.